While kratom can have a lot of health benefits, there are unpleasant side effects, especially when trying it the first time and that includes kratom nausea. It can be a very daunting experience when you try kratom for the first time and not knowing what the effects will be. This nausea occurs when kratom influences the opioid receptors in the brain. Moreover, this condition can provoke vomiting which happens when certain steps were not taken as you use the strain. The nauseous and queasy feeling when taking kratom the first time is never exciting. The feeling of nausea can lead to severe vomiting which can be a worrisome side effect. There are several reasons why you experience kratom nausea. One of the reasons you might get the feeling of nausea when you take kratom for the first time is the sensitivity of your stomach to the strain. Because of the herb reaction or its effects on your stomach, it can result in vomiting. Kratom works quite similar to how morphine works on your body. It is a mild opioid, and since kratom can develop the same opioid effects, it can also possibly develop some opioid side effects to the body including nausea. However, continued use of kratom will lead the body to develop a certain level of tolerance, eliminating the nausea feeling after quite some time. While there are a lot of benefits in using kratom, it has an awful taste which can often be a reasonable cause of nausea. If this is the case, you can still take kratom but combine it with more favorable drinks. Kratom works differently from person to person. While others can experience kratom nausea, some others might not even experience this unpleasant side effect. But, it is always smart to come prepared. To help you avoid any nausea feeling when you take kratom, here are some effective tips for you. One of the reasons why taking kratom can evoke the feeling of nausea, much less vomiting, is when you take the strain at a higher dosage. So, the best possible solution to avoid nausea is finding the best dosage for you and respect that. A good start, especially if it is your first time taking kratom, is to stick to the lowest dosage possible. A beginner dose would be between 1 to 2 grams of kratom. If you don’t feel the effects that you are looking for in this dosage, you can increase your intake little by little or a gram after an hour. Taking kratom in the toss and wash method or a capsule form can be complicated for the stomach to digest the substance and this can be a reason for that feeling of nausea you get. 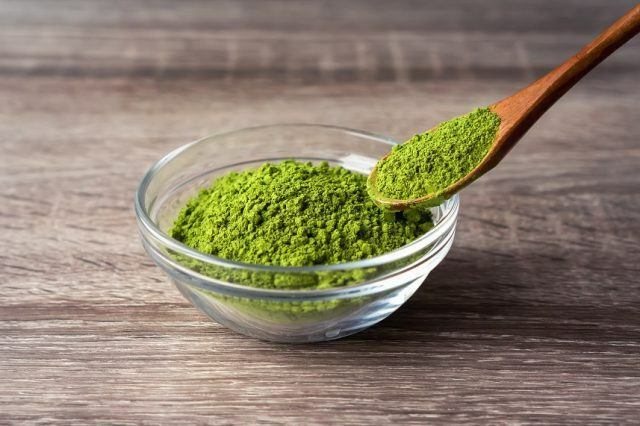 Many users prefer taking kratom with tea or any other preferable drink as it can be an effective method to minimize any side effects of taking the strain. Another reason why taking kratom can lead to nausea is when you take the strain on an empty stomach. It is recommended that kratom is taken at least an hour after your meal, especially if you are a beginner kratom user. However, if you can still get a feeling of nausea, you can try eating a light meal like yogurt before you take your dose. Taking your kratom dose with ginger can be an effective way to ward off any feeling of nausea afterward. When you are taking kratom in tea, you can add ground ginger. You can also chew a small bit of ginger after you have taken your dose. Taking antacids 30 minutes before you take kratom can also help avoid getting that nauseous feeling, especially when you take kratom on an empty stomach. That nausea feeling is never fun especially for the first time kratom users. The good thing is that you can avoid getting this side effect of using kratom. Now, you can confidently ward off that kratom nausea with the tips mentioned above.